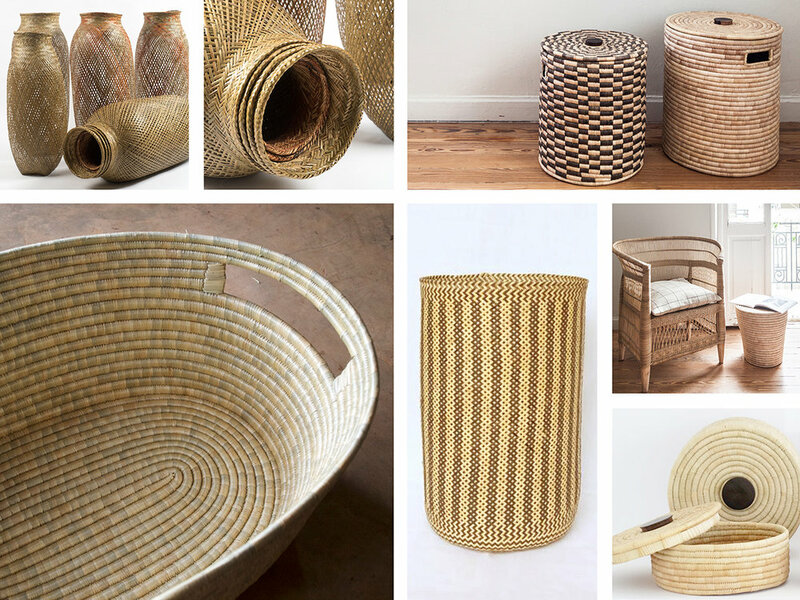 With so much modern basketry being made from metal and plastic, our partner in Malawi makes beautiful, functional items from cane and bamboo. Both fibers are sustainable to the environment and the harvesting process employs local communities. Make that chair a vintage lightweight rattan piece, and you have a combination that feels refined, but still casual and cool.” — Justine Macfee, interior designer. Bamboo basketry from Bali costs approximately $25-35 FOB. Tunisian market bags cost $22+.